New Delhi – June 16, 2017 – Nothing feels as close, connected and personal in our lives as our smartphone. 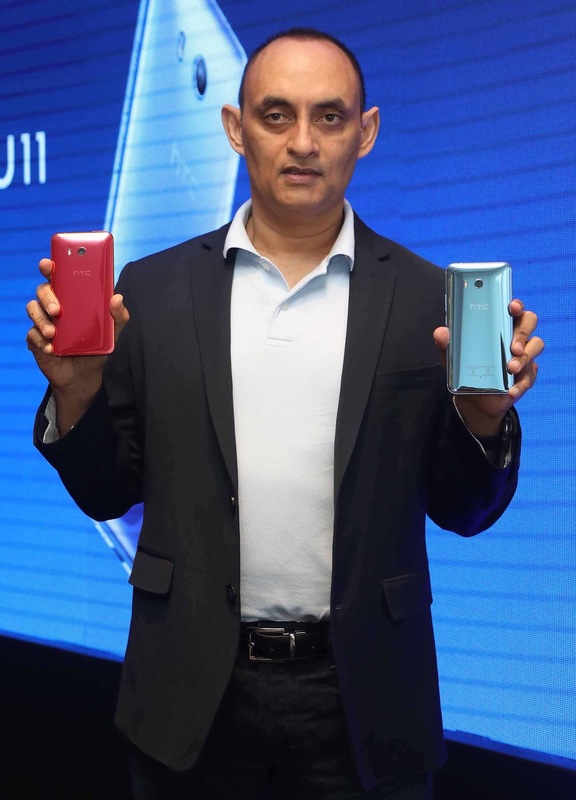 HTC Corporation, a leading innovator in mobile and virtual reality technology, unveiled its flagship smartphone, the HTC U11 priced at INR 51,990 /- (MOP) in India today. HTC U11 is the world’s first smartphone with a revolutionary new squeeze technology HTC Edge Sense which gives users the ability to activate advanced touch and use a “short squeeze” as well as a “squeeze and hold” for enhanced functionality. It also has the highest rated smartphone camera in the world with an incredible DxOMark 90 score1. The HTC U11 will be available on both online (Amazon.in) and offline channels in India from the last week of June ’17 in Amazing Silver and Brilliant Black colours. Pre-orders on HTC e-store will start from 17th June and customers availing the pre-order will receive a free HTC flip-cover worth INR 1,999 /-. Customers also have an option to avail 10% cash back on the MOP value of the phone using Standard Chartered Debit or Credit card. This offer is valid for a limited time-period beginning 26th June‘17. HTC U11 comes with the latest version of HTC USonic that combines Active Noise Cancellation with the ability to tune audio to your unique hearing. It also has an IP67 rating and is dust, splash and is also water-resistant2, so no need to worry about splashes, spills or dunks. It is the first smartphone to be commercially released worldwide exclusively powered by the Qualcomm® Snapdragon™ 835 Mobile Platform. Its stunning liquid glass surface is crafted using Optical Spectrum Hybrid Deposition. With a simple squeeze, HTC Edge Sense lets you easily engage with your phone in an unprecedented yet intuitive way, helping you more naturally enjoy the things you love like taking photos, opening Facebook, or launching any of your favourite apps. Want even more touch control? HTC Edge Sense gives you the ability to activate advanced touch and use a “short squeeze” as well as a “squeeze and hold” for even more functionality at your fingertips. And because Edge Sense is based on pressure applied to the side of the device, it can be used in nearly any condition – including rainy weather that would normally pose a challenge with capacitive buttons. Reflects U - HTC U11’s liquid glass surface is crafted using Optical Spectrum Hybrid Deposition. By layering highly-refractive precious minerals across the phone’s back cover along-with the new seamless, curved look with 5.5” Quad HD 3D lass on both front and back for vivid, crisp images and text in any light. Plus, HTC U11 is water-resistant2 so no need to worry about splashes, spills, or dunks. Tuned to U - HTC U11 comes with the latest version of HTC USonic that combines Active Noise Cancellation with the ability to tune audio to your unique hearing. HTC BoomSound Hi-Fi Edition speakers, Dynamic Range Audio and Upgraded microphones, with new Acoustic Focus technology enables the best 3D audio recording quality yet to record audio from all directions. Out of the box, we will also ship an HTC USB-C to 3.5mm adapter with a built-in DAC that offers great audio performance and wide compatibility with all other devices and earphones. 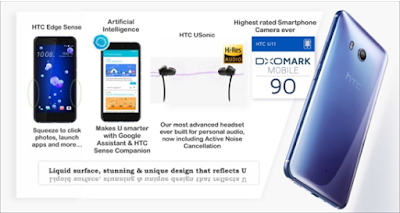 Pictures that move U - HTC U11 has achieved the highest ever rating for a smartphone camera for both photo and video by independent metric DxOMark1with an incredible score of 90. The multi-axis optical stabilization system and super-fast autofocus in all lighting conditions makes the camera quick, pictures sharp, and videos smooth. Other innovative features include Auto HDR for HDR without lag, HDR Boost for clearer, balanced pictures, Temporal Noise Reduction to remove unwanted noise and deliver the clearest video, UltraSpeed AutoFocus for faster focus speeds and optical and electronic stabilization system for steady photos and videos. The smarter digital companion for U - Three brains are better than one, so inside HTC U11 you can find three intelligent companions devoted to you: HTC Sense Companion, Google Assistant, and Amazon Alexa3. Powerful U - HTC U11 is powered by theQualcomm® Snapdragon™ 835 Mobile Platform. You get 25% faster graphics than the HTC 10, with 35% or 3 hours more video playback, 30% or 8 hours more music playback and 43% or 3.5 hours longer web browsing time via a LTE network4. HTC U11 is available in India with 6GB RAM and 128GB internal storage. Please see htc.com for detailed specifications and more information. 1. Based on DxOMark ratings: dxomark.com/Mobiles. 2. 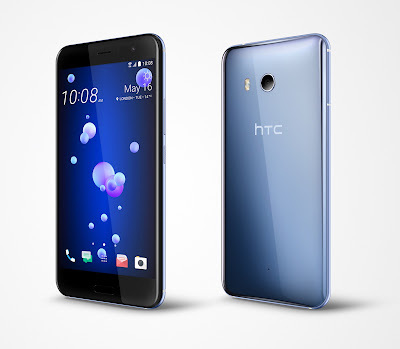 HTC U11 has an IP67 rating and is dust, splash and water resistant up to 1 meter of freshwater for up to 30 minutes and tested under controlled laboratory conditions. Normal wear and tear may decrease splash and water resistance over time. Do not attempt to charge or otherwise use the USB Type-C port on a wet HTC U11. For drying instruction and tips on maintaining water resistance, consult the user guide, support site, or the Help app on the device. Liquid damage may not be covered under warranty. 3. Availability varies by region. 4. 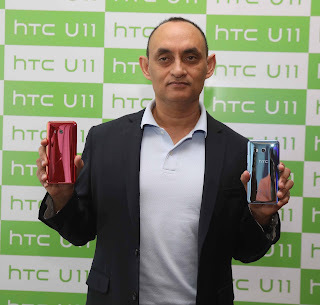 Performance tests are conducted in HTC laboratories using specific HTC devices. Battery life varies by use and settings. Usage, environment conditions, network connectivity and other factors may vary the actual outcome.